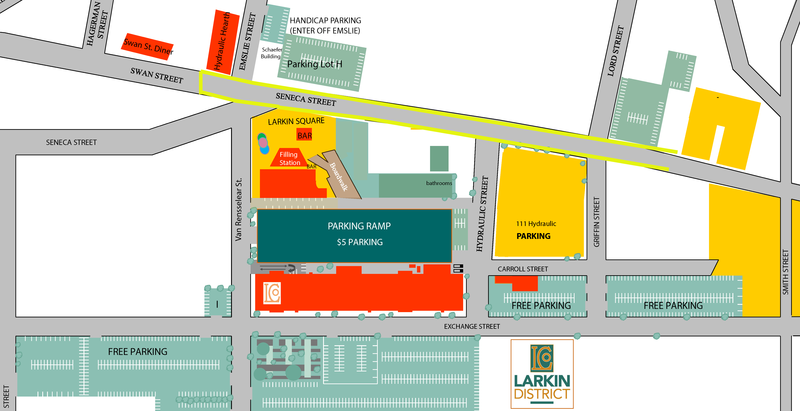 Since 2002, the Larkin Development Group (LDG) has been actively reimagining, rehabilitating and reconstructing the Larkin District, aka Larkinville, into a lively mixed use neighborhood with residential, office, manufacturing, retail and culinary focused businesses. 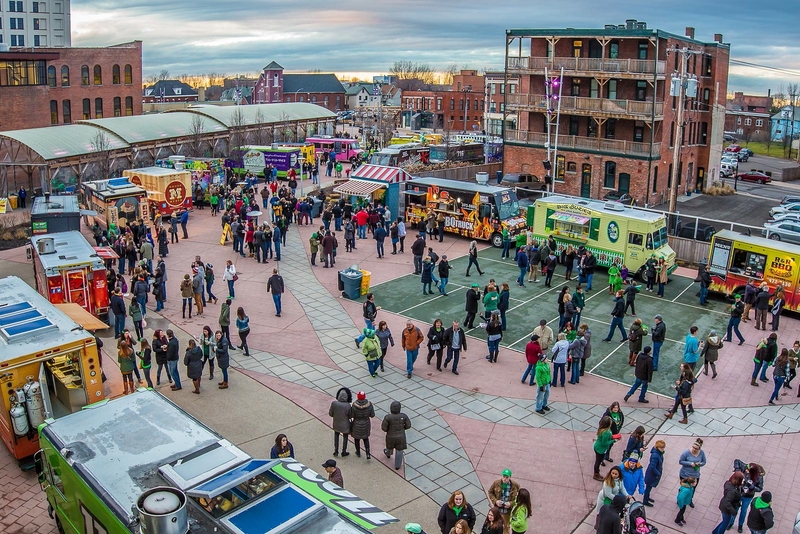 In recent years, a dozen buildings and 2.0 million square feet of redevelopment has been completed, including the revitalization of the entire streetscape. There are now more people working in Larkinville than during the heyday of the historic Larkin Company. 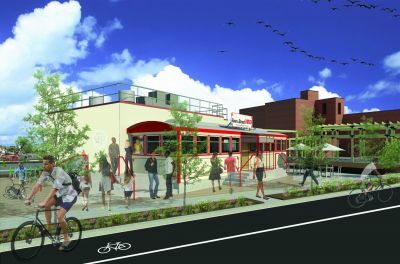 A sample of the new retail and culinary businesses in the neighborhood include the Hydraulic Hearth restaurant and brewery, Flying Bison Brewing Company, Buffalo Distilling Company distillery and cocktail bar, The Filling Station restaurant and many more under development. 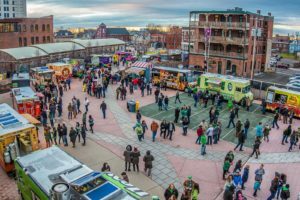 Furthermore, our free events at Larkin Square have provided a fertile ground for entrepreneurs to start small businesses including dozens of Food Trucks. The Swan Street Diner The Swan Street Diner, a 1937 fully restored Sterling Diner, rolled into Larkinville next to the Hydraulic Hearth in May, and will be open for service in September 2017. 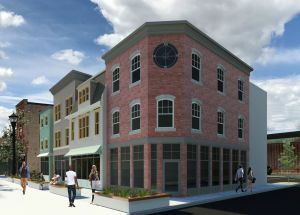 Live/ Work Buildings Plans are underway for additional live/work spaces on Seneca Street near Smith Street with the construction of a series of buildings with retail on the first floor and residential on the second and third floors, targeting Fall 2019 occupancy. 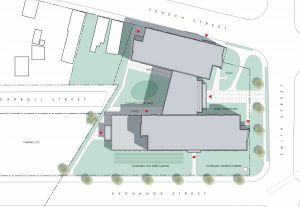 As the Buffalo Public School Board (BPS) considers a location and developer for a new Emerson Culinary and Hospitality High School, the BPS Board is considering Larkinville as a location. 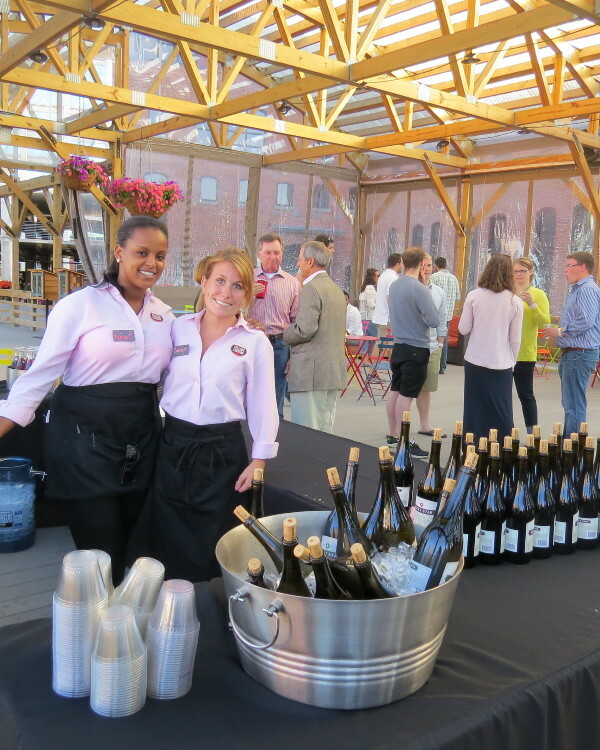 As Larkinville is now an epicenter for restaurants and events, the students can benefit from working with the businesses as interns and on special projects. Between the restaurants that we operate and the relationships we have with the food trucks and other professionals in the culinary and tourism sectors, we would bring added value and mentoring to the students and teachers at the school.Our proposal also includes support from businesses with headquarters in Larkinville who are interested in mentoring students in their areas of expertise. For example, mentorships can be offered through KeyBank on financial services, while SelectOne can provide programs on job readiness.There is also a built-in market (through visitors and tenants of Larkin Square and the Larkin at Exchange Building) to support students in developing their own events and trying their hand at small business and life skills before they graduate. A new custom designed school building would allow the district to have the exact layout that works well for students and the unique programming components of the school. Our proposed 80,000 sq. 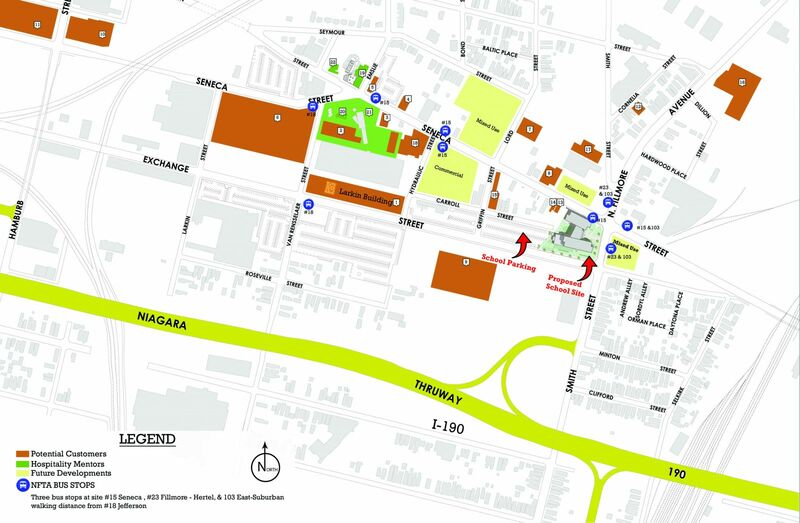 ft. site in Larkinville at Smith, Exchange and Seneca Streets offers a campus opportunity on a shovel ready site, with room for future programming expansion, such as the addition of a gymnasium and food gardens. There is excellent public transportation access with direct bus lines to the east side, South Buffalo, North Buffalo, the west side and downtown. Being located on the east side and and the gateway to South Buffalo would allow the district to place a high school in an area of Buffalo that does not have other high schools. In addition to the many thousands of employees working here, Larkinville is close to Tesla Solar City, the Cobblestone District, the Central Terminal, Seneca Babcock and the Broadway Fillmore neighborhoods. There is also a built-in customer base to patronize the dining and banquet facilities. As a destination, our proposal includes free parking for patrons of the restaurant and banquet facilities. The design of the school includes an outdoor courtyard, allowing students to enjoy a campus atmosphere. 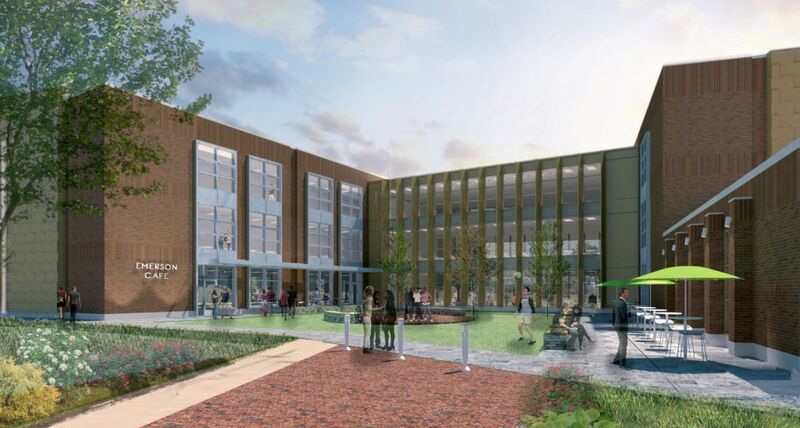 Students and staff will also be able to take advantage of Larkin Square’s current and future amenities all year long. 111 Hydraulic Street This site is located in between the proposed Emerson School and Larkin Square. 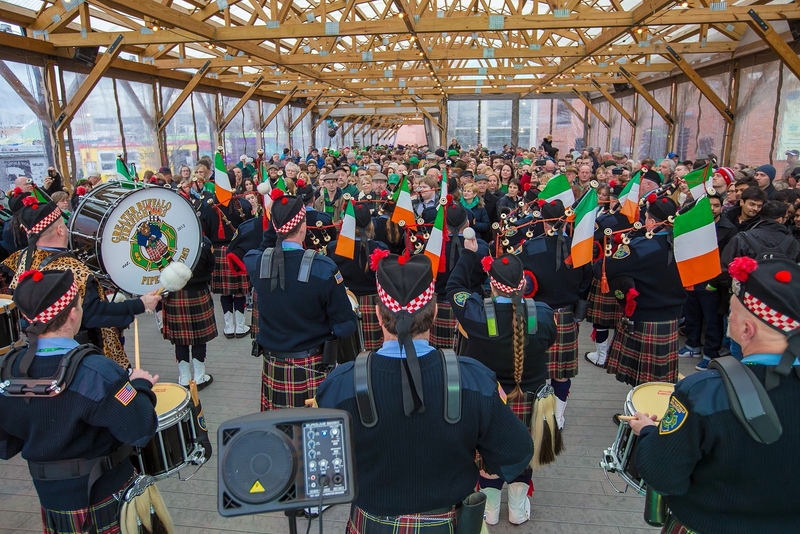 This year we will be issuing an architecture competition for over 100,000 sq. ft. of retail, commercial, and residential to be built on this site with a completion by Fall 2021. Public Park Space The development of the former Ameripride site, next to Flying Bison Brewery, will include recreational amenities such as tennis, basketball, volleyball and a running track available to be enjoyed by those who live, work, visit or attend school in the neighborhood by Fall of 2020. Larkin Lanes The development and return of the former neighborhood bowling alley at the corner of Seneca and Griffin Streets. This long abandoned building will have a new chapter as a refurbished bowling alley and eatery with a fall 2020 completion date. Larkin Men’s Club This historic building, once a social hall for the Larkin Soap Company, located behind the fire station, will be redeveloped into commercial and residential space by fall 2019. We are proud to call Larkinville home for our company headquarters. 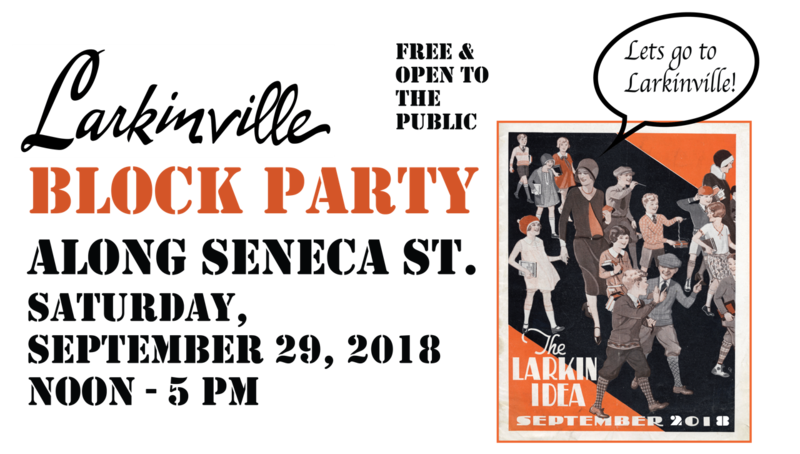 Many of our team members and employees of fellow Larkinville companies also live in the neighborhood. 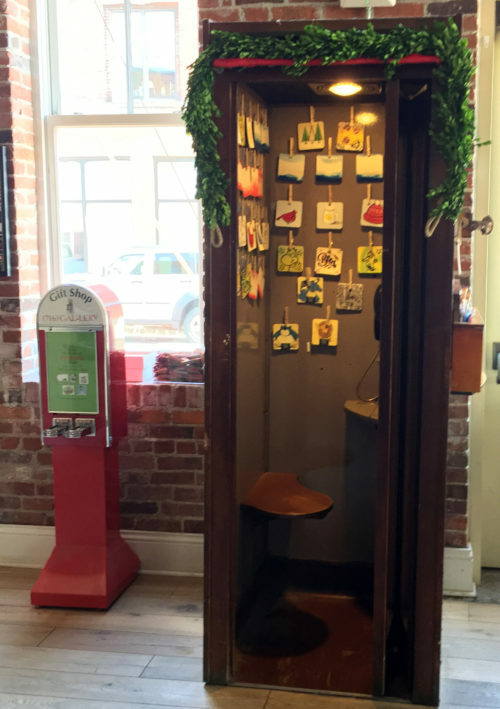 Entrepreneurs continue to open businesses here in a neighborhood that is both a national and local model for urban planning and redevelopment. 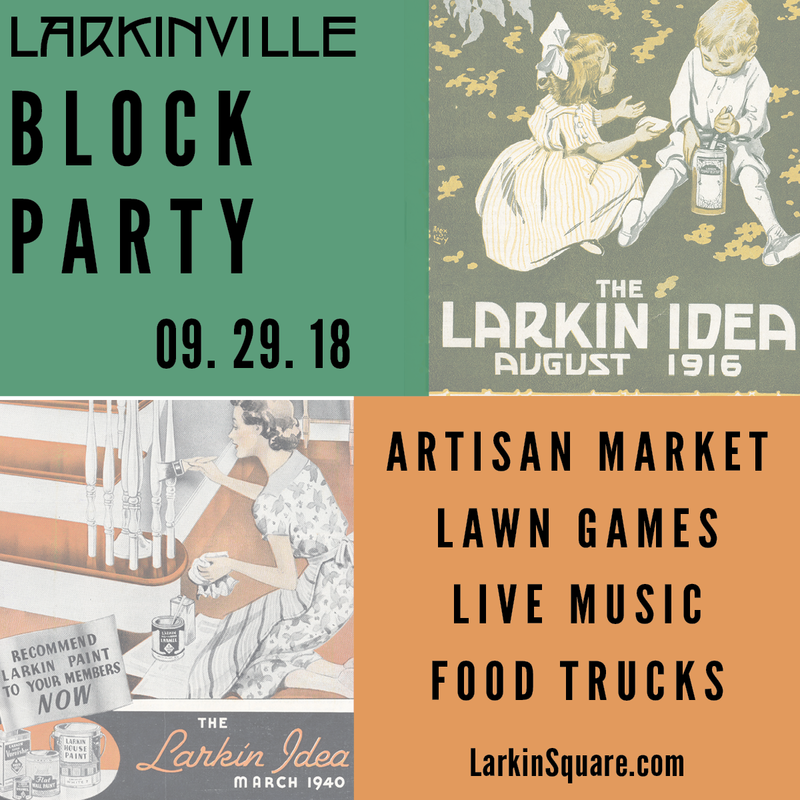 We will be in the neighborhood for generations to come and it’s going to be an exciting few years as Larkinville and the east side continue to grow. 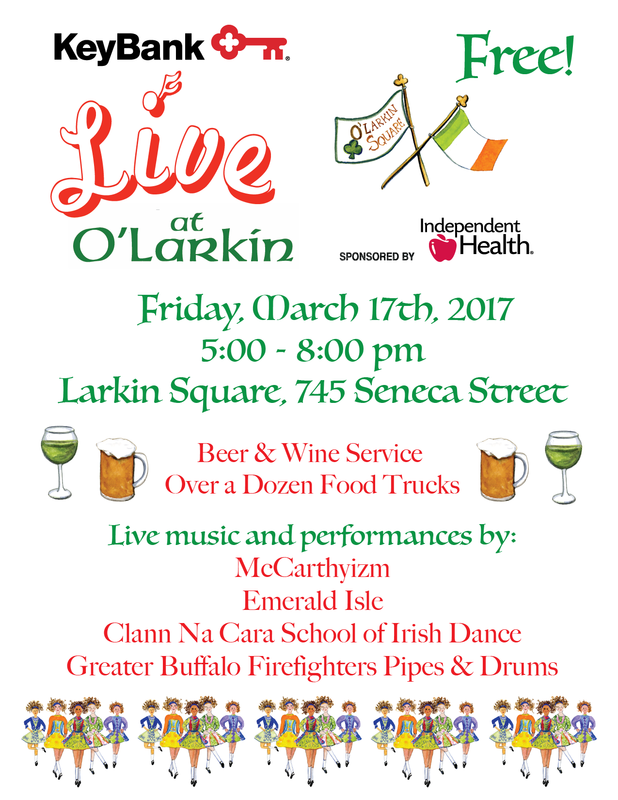 Join us in Larkin Square on Friday, March 17 from 5-8pm for the fifth annual KeyBank Live at O’Larkin! 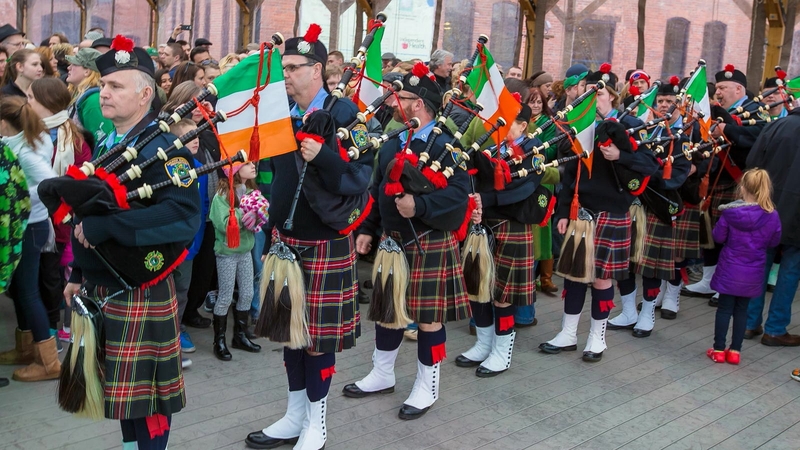 For the first time in its five-year history, one of Buffalo’s newest St. Patrick’s traditions will fall on the actual holiday in 2017, as Larkin Square will again welcome the public to an Irish-American celebration with live Celtic music and dance along with food trucks and drinks. This year, KeyBank Live at O’Larkin will feature the familiar faces of Celtic rockers McCarthyizm, traditional folk trio Emerald Isle, students from Clann Na Cara School of Irish Dance, and the first responders of Greater Buffalo Firefighters Pipes & Drums, all performing individual sets along with an encore ensemble jam on the square’s covered and heated boardwalk. Drinks will also be served on the boardwalk and in the Square along with food from over a dozen food trucks. 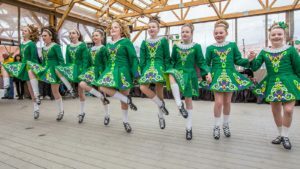 As always, this family-friendly event is free, including free parking, and open to all, presented by KeyBank and sponsored by Independent Health. All of us in Larkinville want to send a big congratulations on any holiday engagements and remind you that we would love to help you celebrate your big day here in Buffalo! 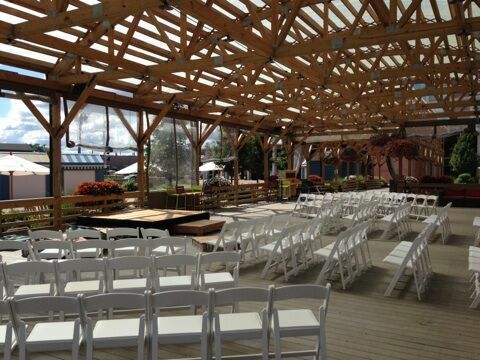 Larkin Square is uniquely situated to offer an indoor and outdoor venue able to accommodate 500+ guests. 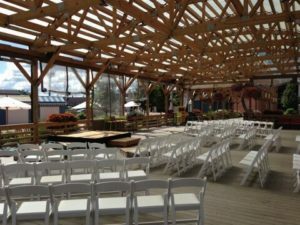 Our urban setting offers a fun alternative to formal receptions and an opportunity to design a wedding that reflects your personality as a couple, whether through a small, intimate ceremony or lively dance party. 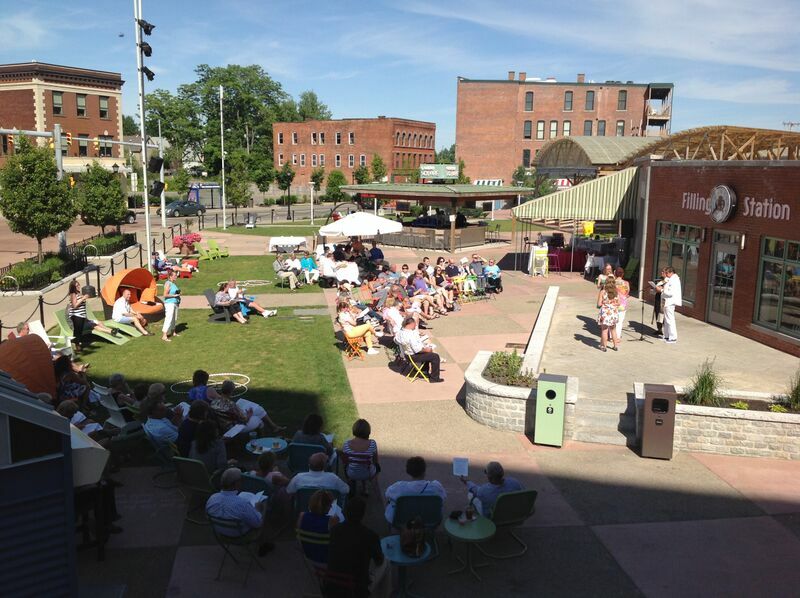 Weddings in Larkin Square have access to our built-in sound system and stage, whimsical furniture, and a catering team that can offer a wide variety of menu and bar options. We can now host everything from casual BBQs and cocktail parties to seated dinners, making us a perfect location for not only your wedding, but also engagement parties, bridal showers, rehearsal dinners, and everything in between. 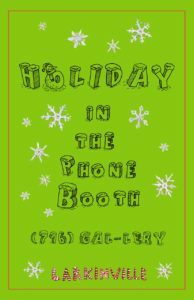 In fact, across the street Hydraulic Hearth can also host private events on Sundays and Mondays, just contact Harry Zemsky at hzemsky@gmail.com or 716 248 2216. For more information on hosting your ceremony, reception or any other special occasion at Larkin Square visit our website here or contact AmyRae Nessa at amyraen@larkinsquare.com or via the contact form on our website here. 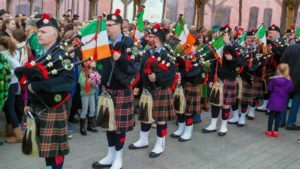 We would love to be a part of making your 2017 extra special! Stop by the (716) GAL-LERY to experience the latest show, “Holiday in the Phone Booth,” on view now through January 15. Artist-made coasters are available for purchase for $20 each with all proceeds going directly to the artist. Wrap your coaster up as a gift or string it up to turn into a holiday ornament with complimentary gift wrap, tags and hole punch! 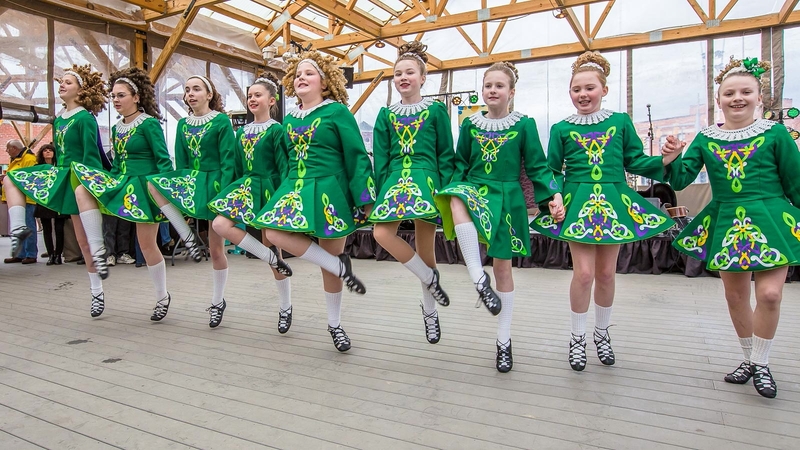 The Hydraulic Hearth will match each purchase with a $20 donation to Harvest House, supporting families in the neighborhood and beyond with job training, healthcare, children & nursery supplies and more.